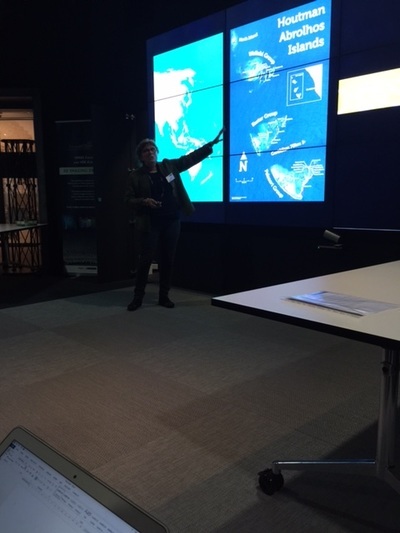 Dr. Pauline Joseph (Department of Information Studies, School of Media, Culture, and Creative Arts (MCCA) at Curtin University, Perth) and Dr. Jenna Hartel (Faculty of Information, University of Toronto) extended iSquare research into the field of Records and Archive Management in Australia. The study is based at the MCCA where Dr. Hartel was a Visiting Fellow during April and May, 2015. Together, Drs. 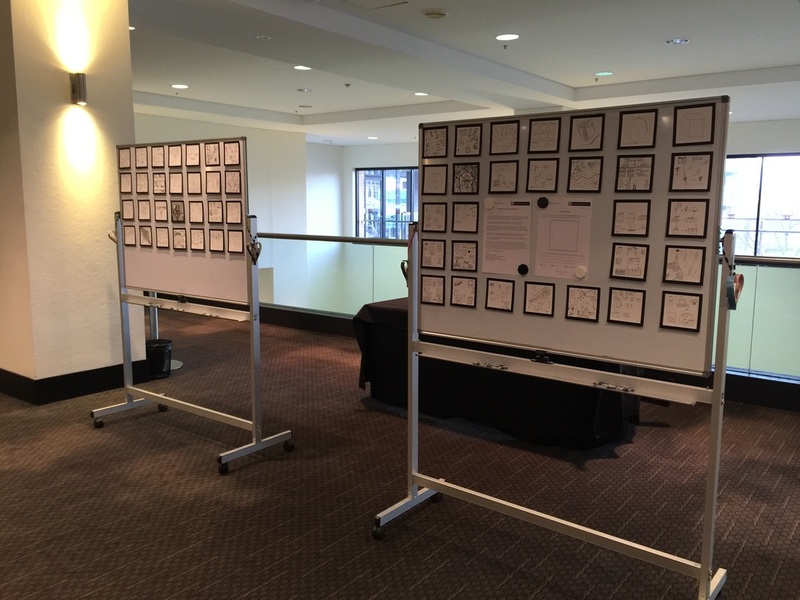 Joseph and Hartel have collected 450+ drawings of information from RAM students and practitioners; analyzed the images through interdisciplinary lenses; and in the future will generate publications and conference presentations about the project. The RAM students and practitioners who participated by drawing an iSquare have been guided to perceive information differently and to rethink information management strategies in a multimedia age. What are defining characteristics of visual conceptions of information within RAM? What do these motifs reveal about current RAM theory, pedagogy, and practice? Do RAM student and practitioner conceptions of information differ and if so, how and why? How can arts-informed, visual methods invigorate all levels of RAM? Dr. Pauline Joseph (pictured at left) is the primary investigator for the RAM Study. Dr. Joseph is a Lecturer in records and archives management in MCCA’s Department of Information Studies. She graduated from Curtin University of Technology with an Honours degree in 1991 and acquired a Doctor of Philosophy from the University of Western Australia in 2011. Dr. Jenna Hartel is Associate Professor at the Faculty of Information, University of Toronto and the originator of the iSquare Research Program. Ms. Aminath Riyaz is Dr. Joseph’s doctoral student and the Research Assistant for the project. From the abstract by Dr. Pauline Joseph: For a century "information" has been theorized and defined by information scientists and yet its nature remains obscure and highly contested. This alternative event will provide "new visions" -- actual images -- of information that have emerged from an empirical research project. Employing a visual data-gathering method known as the draw-and-write technique, approximately 450 research participants both students and RIM professionals were asked “What is information?” between April and September 2015 by drawing upon a 4" by 4" piece of paper, coined an information square or iSquare, for short. 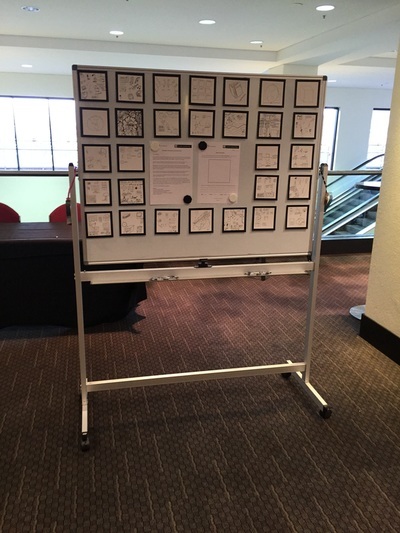 At ﻿inForum﻿ last year we introduced the RAM iSquare research project and explained how the data set provides visual definitions to information and how it could be used to create storyboards about information. This time we offer something new: we present how RAM students and practitioners visualise information using Engelhardt’s graphical analysis framework. It is important to understand ‘what is information’, in order to appreciate the value a decision maker is willing to pay for information. Our research creates a springboard to thinking about the value of information in a different (visually-inspired) way. The RAM iSquares were exhibited to showcase to prospective students and visitors at Curtin’s Open Day what is information and provide insights into the information commodity they will be working with plus the information profession they will be joining. The Department of Information Studies held an exhibition of the RAM iSquares that included activities involving the iSquares. Visitors could colour some of the iSquares. Or explore the iSquares using augmented reality! The Aurasma app was downloaded on iPads for visitors to engage with augmented reality activities with selected iSquares. Visitors explored links from the iSquares to text describing the iSquare drawings and websites where students are likely to be employed using augmented reality. Dr. Joseph was invited to present about the RAM iSquare research and its findings outside our profession to the Quality Network, WA. This is professional group of quality assurance and compliance professionals. The presentation provided an opportunity to create awareness about the records profession and how we work with information and not just records. The presentation explained and discussed definitions of data, documents and documented information as stated in AS/NZS ISO 9001:2016 : Quality management systems - Requirements, using drawings gathered from the visual arts research methodology. Where records fit with these definitions will also shared. These professional group were fascinated with the datasets and actively participated in identifying iSquares of data, documents and documented information. 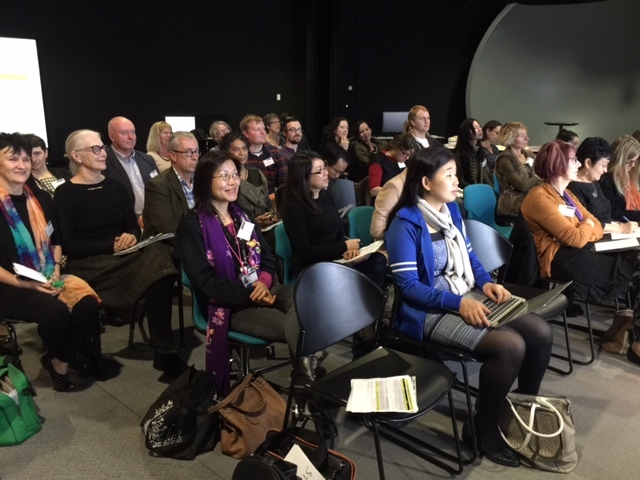 Dr. Pauline Joseph of Curtin University gathered together more than 30 scholars interested in visual research methods for the first visual research methods symposium. Click to see the agenda, ﻿here﻿. 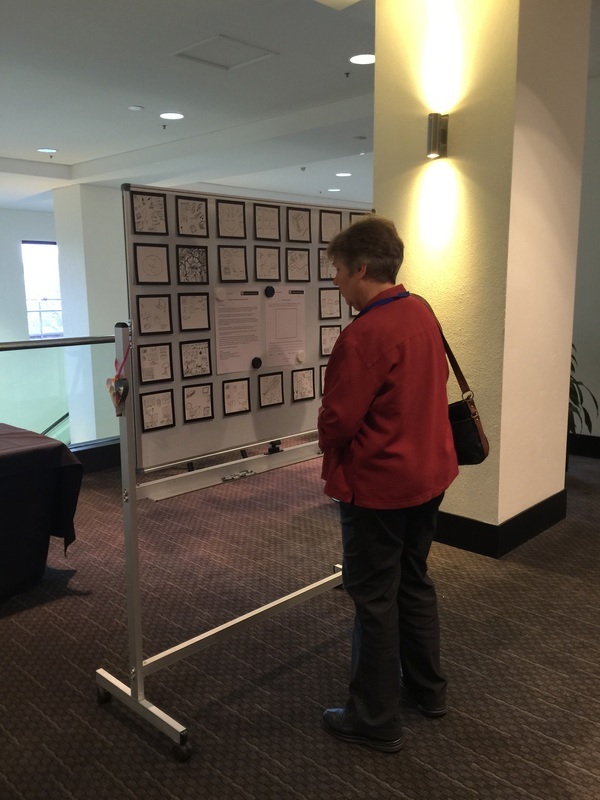 alternative event at ﻿inforum﻿ 2015: "dreams (visions) of Information in RIM"
This alternative event by Dr. Pauline Joseph utilized the iSquare study and its outcomes as a springboard to imagine and discuss the nature of information today. The title, “Dreams (visions) of Information in RIM“, had myriad referents: the diverse images of information displayed in the iSquares and the spontaneous discoveries of inForum attendees who participate and drew their own iSquare. The presentation was grouped under the ‘innovative practice’ theme at the Conference. 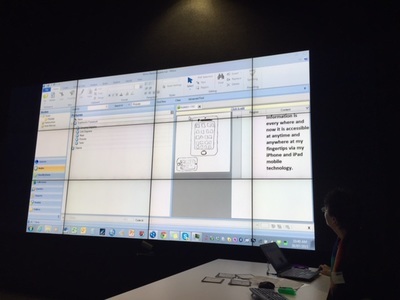 The use of the draw-and-write visual arts research methodology in the records and archives management (RAM) discipline was shared with the delegates. The research aims and methodology was explained, too. A preliminary glimpse of the initial findings was shared using visual illustrations from the dataset. The exhibition of the RAM iSquares attracted delegates interest and new iSquares were collected. In short this innovated research idea was well received. 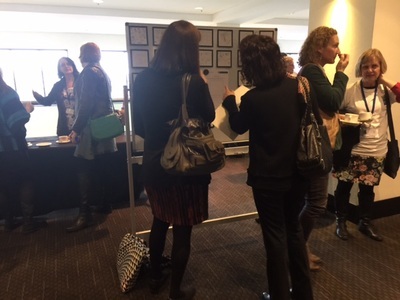 A number of attendees come up to say how radical and innovative this research is in the RAM disciplines. They mentioned being fascinated with how the findings can be used to explain definitions and stories. There was a question on when the paper will be published as the attendee wanted to use the story lines when inducting their users. In the spirit of Information Awareness Month, Dr. Hartel presented the public lecture “Information Celebration" at the Curtin HIVE. Her talk provided a fresh, visual perspective on the concept that is central to the records, archives, library, knowledge, information and data management communities. For the past four years, Dr. Hartel has spear-headed the international iSquare Research Program. In this arts-informed study people answer the question “What is information?” in the form of a compact line drawing, coined an “iSquare.” More than 1,000 iSquares have been collected to date and new insights have been reported in scholarly publications and at conferences. For the talk, findings from the research were shared, including the visual themes and pictorial metaphors people associate with information, as well as their implications for the information professions. The session was interactive and featured an opportunity for the audience to contribute to iSquare research now underway by Curtin University’s Dr. Pauline Joseph, to explore visual conceptions of information in Records and Archives Management in Australia. This event at the Curtin HIVE was geared for scholars, educators, students, and practitioners across the social sciences and affiliated professions who wished to learn more about the draw-and-write technique and its wide-ranging applications for research and education. During the workshop, Dr. Hartel presented an overview of the iSquare Research Program that utilizes the draw-and-write technique. With an interest in others being able to replicate the approach, she then discussed the types of questions that can be asked and answered with drawing methods; reviewed analytical options for visual data; demonstrated creative presentation formats; and shared her experiences with the draw-and-write technique in classrooms to teach fundamental principles. In an informal, conversational environment, all participants were able to voice questions and concerns about the method and the get-together seeded a community of interest for the future. 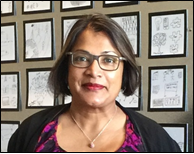 Contact Dr. Pauline Joseph at Curtin University to join a local community of practice centered on the draw-and-write technique and related visual methods.